NEMA TS4 Environmental Standards are defined by 9 different criteria. 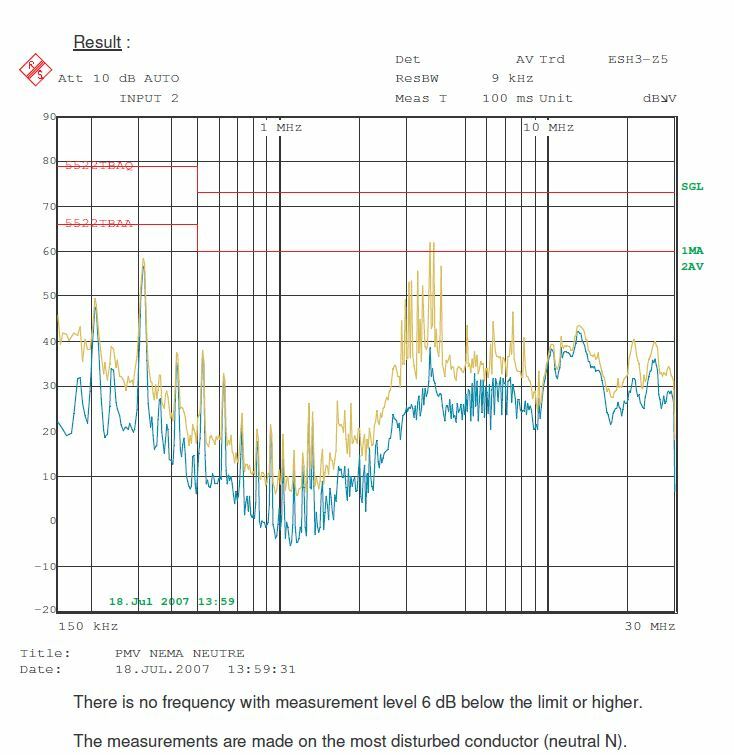 The first four criteria are related to electrical performances that guarantee the DMS will correctly operate in harsh electrical conditions. The next two are related to operating climate (temperature and humidity) and the last 3 discuss vibration, shock, and time accuracy. These tests are very important to make sure the DMS will work properly in harsh highway conditions. The sign shall operate from one or more of the listed voltages to guarantee a smooth operation. NEMA TS4 defines a minimum and a maximum voltage because voltage changes depending on the grid quality, efficiency of power supplies or efficiency of batteries, and solar panels if the DMS is solar powered. For the AC power supply, the operating frequency shall be 60 Hz ± 3.0 Hz. 60Hz is the normal frequency of the power grid, but like the voltage level it can changed throughout the day. A good DMS must be able to absorb those changes without consequences on the display and the operation of the DMS. Example of DMS modules of different character sizes being tested in an independent third party laboratory. Power interruptions occur when the grid is unstable or when a DC power supply is not fully operational. NEMA TS4 defines how the DMS must behave or react to those power interruptions. If the interruption is too long the sign will shut down, but if the interruption is shorter than a certain threshold, the sign may simply continue to operate properly or must be reset. Similarly to power interruptions, voltage transints may occur when the grid or the power supply is not operating properly. 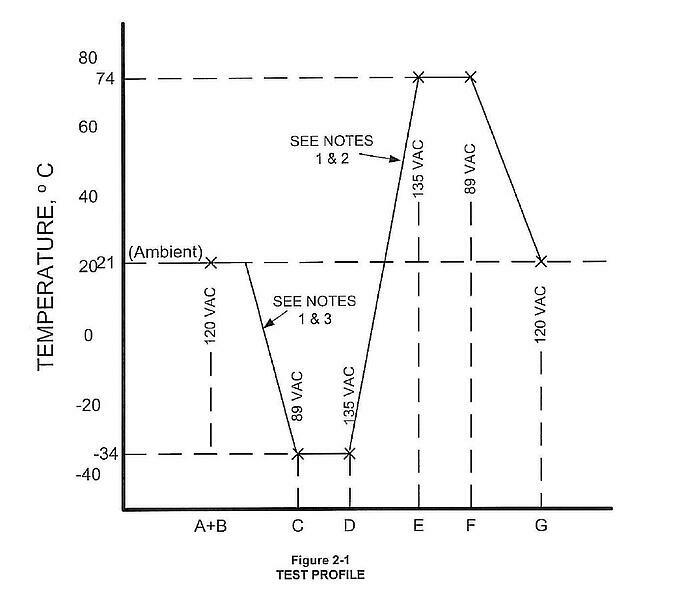 Test B1 – Amplitude 300V positive and negative, repetition 1 pulse every other cycle for 3 sec., pulse width 10 usec. The operating ambient temperature range shall be -34°C to +74°C (-30°F to +165°F) under different conditions. 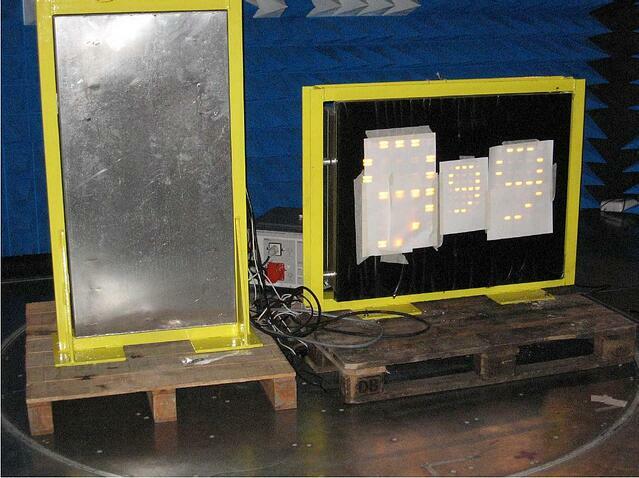 The tests are performed with an operating sign or testing module in a climatic chamber. 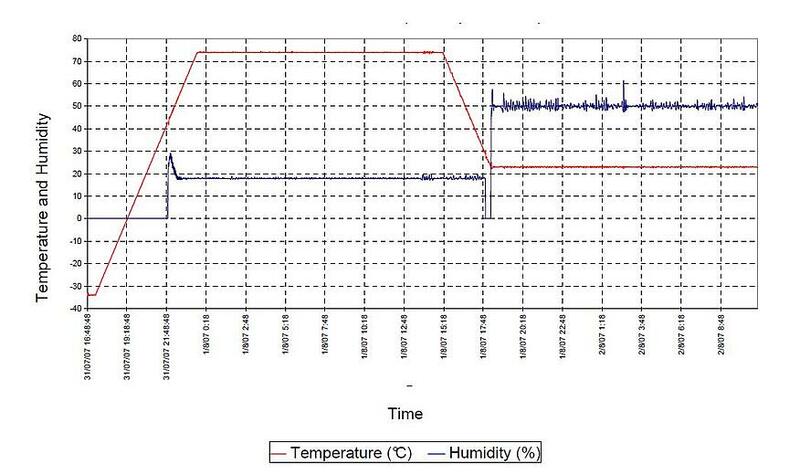 The temperature and humidity varies as per the schedule showed below. The sign and its controller must remain in operation during the entire tests. 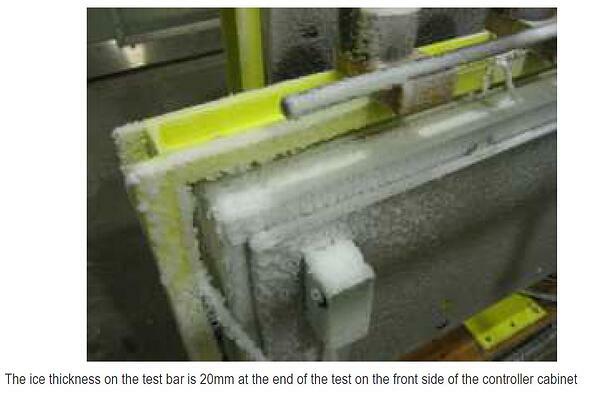 Example of climatic tests showing that the DMS was placed in a climatic chamber being able to change temperature and humidity. In this case, high temperature with low humidity and low temperature with high humidity. The DMS shall be subjected a 0.5g vibration at the sinusoidal resonant frequency(s) between 5Hz and 30Hz for one hour in each of the three mutually perpendicular planes. The DMS shall demonstrate full functionality at the conclusion of the test. The intent of this test is to make sure the signs will not be damaged when installed on overhead structures and that all components are well mounted and secured within the enclosure. The DMS shall be subjected to a 10g ±1g shock in each of its three mutually perpendicular planes. The DMS shall demonstrate full functionality at the conclusion of the test. The shock test is to prove that a DMS will not be damaged during transportation and shipping. The products are often at risk to be shocked by other devices when in shipping transit. The Real Time Clock accuracy shall be 0.1 s/h @20°C and shall not exceed 0.66 s/h at the limits of the temperature ranges. The precision of any time that is required to be in minutes, hours or days shall be ± 1 second. It is important that the sign internal clock does not deviate because messages must be synchronized with DOT control software and logs file at tag timed. If timing is not precise, all information will be inaccurate and difficult to understand. NEMA TS4 is the predominant industry standard for DMS performance. Compliance with the requirements of this standard go a long way to ensure the user is able to procure a DMS that is safe, effective, and reliable. Many times the focus of the specification effort is on the mechanical aspects of the sign. While these are important concerns to make sure DMS is structurally sound, the environmental tests will insure the DMS will operate properly in harsh highway conditions. For more information, please visit the NEMA website.